How Can A Google Partner Help With My Business Growth? Google is one of the most well-known, respected brands on the planet, for this reason, it's no surprise that a Google Partners Badge carries a high level of authority. On average, companies with the Google Partner Badge have a greater number of high profile clients as well as greater online awareness. 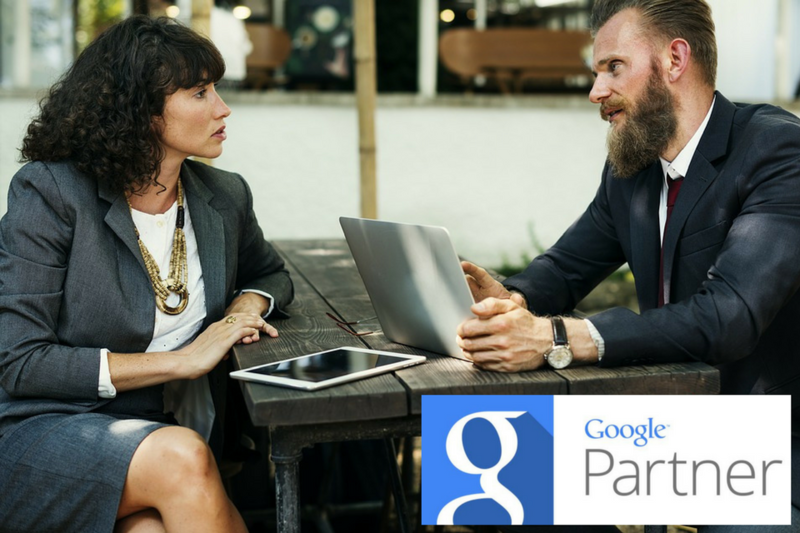 Google Partners is a prestigious type of programme offered by Google for advertising agencies, digital marketing professionals and other online consultants. There are two types of Google Partner badge, the standard Partner version and the Premier version. The Premier badge recognises leading companies with higher-spending ad campaigns and additional qualifications. To achieve Premier status two or more colleagues must undergo advanced AdWords training. Official Google guidelines for this award can be found here. Significantly increases credibility: Customers are naturally more inclined to trust and invest in a business that is backed by Google. For this reason, it's advisable to add the Google Partner badge to your business' website and other marketing materials like your social media profiles, blog and your CV. Listing in Google Partner Search: Official Google Partners have a listing in the Google's Partner Search tool which increase your search engine visibility. Further sales training and performance reports: This type of advanced training has the power to boost your ROI if used correctly within your marketing strategy. Rewards: Including Google promotional offers and agency competitions. In today's fiercely competitive market a Google Partner badge can make a huge difference because it highlights your brand's trustworthiness and your determination to better your understanding of ethical marketing tactics. The JDR Group are a certified Google Partner Agency. Our expertise means we get great results on our client's PPC campaigns, we have access to Google training, support and news of upcoming features and changes, plus we are given vouchers and are made aware of any upcoming offers that could save you money. Please feel free to contact us today for further advice of Google marketing tactics.